What do I have in common with Coronation Street’s Ken Barlow, Andy Murray, David Walliams and Elton John? 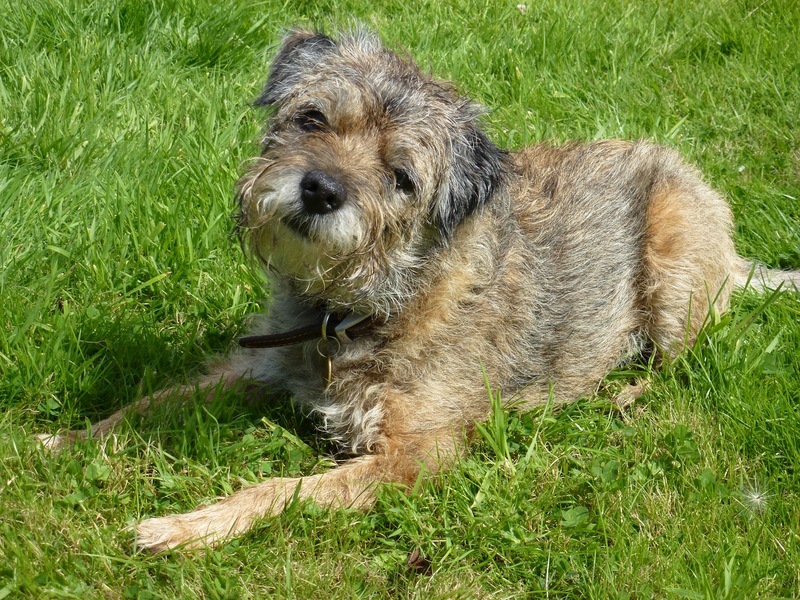 I suppose I would have to allow you “boring” as my link with the soap character, and “grumpy” with the tennis ace, but the intended answer is that we all own Border terriers. 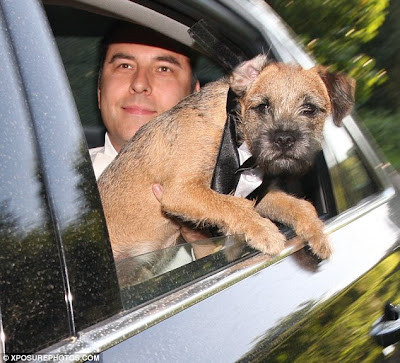 Recent articles in Country Life and the Daily Mail have sung their praises – but can it really be news that the Border is the best dog in the world? My Borders and I have never been in the slightest doubt. Possessing a face with more than a passing resemblance to a teddy bear gives the Border a massive advantage in any cuteness competition. But, for me, it is its personality that is the clincher: playful yet dignified, gentle but rumbustious, a small dog that clearly has no sense of its size or any resulting limitations. 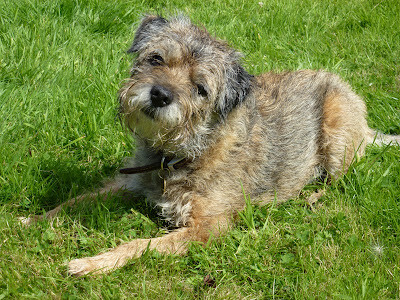 My current dog, Craster (because he is a world class kipper, obviously) turns 11 on Friday. Until he was seven, he had hardly even met a child. Now he shares his life with a boisterous toddler and a baby, and does so with the patience of a saint. He may have been bred to subdue foxes, but savaging the occasional squeaky toy seems to provide an adequate outlet for his instincts. Borders possess apparently boundless energy: in half a century of close acquaintance with the breed, I have only once succeeded in tiring one out, and he recovered long before I did. If you offend them, their deadliest insult is to turn their back on you. I once watched Arthur perform several revolutions on his bottom on the platform of Alnmouth station, as he made clear how disgusted he was with me for catching a train to London rather than taking him out into the hills. The Border is obedient, and will always do exactly what you ask it, so long as it happens to coincide with whatever it was planning to do anyway at the time. Otherwise you can forget it. Craster will rarely come when called and cannot believe that anyone will not be utterly delighted to meet him. Because he is, after all, the cutest dog anyone ever saw. Although they can sit comfortably on your lap, Borders are not toy dogs. They do not yap. Indeed, their bark is sufficiently like that of a large dog for my wife to insist, laughably, that I should leave Craster behind as a burglar deterrent when we are apart. Borders do not require effete tartan coats to face the rigours of winter: they grow their own, and then shed them on your carpet. Around my way I often see working Border terriers that live in Spartan outdoor kennels. Mine regard their natural habitat as our bed and the sofa. Small wonder that when DFS recently decided to adopt a softer image for their advertising, they should have chosen to have it fronted by an appealing small boy with a Border terrier. 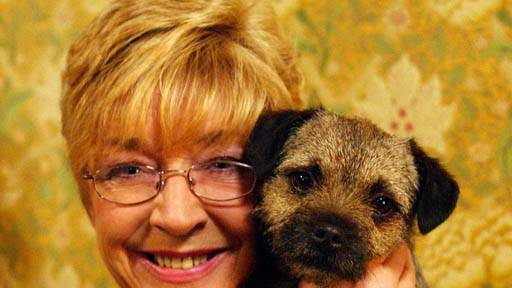 Could I recommend acquiring a Border terrier? Unreservedly, so long as you are not doing it as a slave to fashion. The walks will keep you fit, and their antics will lift your spirits. Just remember always to laugh with them, not at them, or you will find yourself staring at a hairy brown back for a very long time. Love Border Terriers. I wish I could have one, but no dogs allowed in the building. I do have 2 lovely Cat boys, however. dog is the closest thing to a cat a dog can be!" another highly amusing blog from the UK. 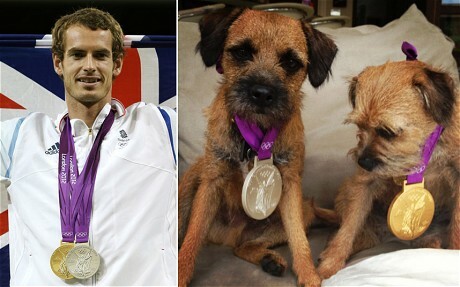 As you rightfully say, "The Border Terrier is the best dog in the World" I can attest to this claim. 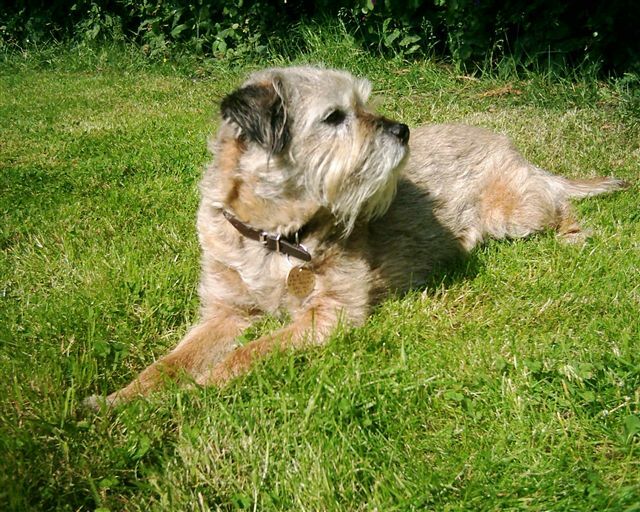 Over the past forty years we have loved and lost four beautiful Border Terriers, there was our first "Sandy", followed by "Ben", then "Roly" and "Toby". Sadly and I'm still hurting, just 2 weeks ago dear Toby had to be put to sleep, at 16 years of age he had a long life, although Ben was almost 18 when he went.., we did our utmost to try and prolong his great life, sadly it wasn't to be, and after 3 operations he just seemed to look at us and say.., Thank you for a wonderful life and for helping me as you have, but my time has now come, my body is aching I just want to sleep now and that is what we did. That decision on that day, 4th February 2016 still makes me feel like Iv'e been kicked in the guts, as all dog lovers will know. I am fond of all dogs..., but truthfully there is only one breed " I love Border Terriers"